Will snagging a government contract ever get easier? What share of federal contracting dollars is small business getting? Here’s a closer look, broken down by the top 25 major producing agencies. Source: General Services Administration, Federal Procurement Data System and Global Computer Enterprises Inc. Someone asked some interesting questions about sales tax on clothing items valued at under $110 when sold by mail, answered here. One of the examples that caught my attention was this, and it's not limited to the mail order aspect: If one is selling a shirt, cufflinks and a tie tack as a package for $50, then the whole thing is taxable because the accessories are taxable, even though the shirt would otherwise not be. One of the reasons as to why the Research Network decided recently to go all-digital can be found in the results of this survey. Wells Fargo & Gallup frequently conduct surveys of small business, with a specific emphasis lately on the role technology plays in a small business owner's management style. As you can see, this is an attitudinal survey, asking business owners what they think might happen if Internet access went away, etc. Nonetheless, such attitudes are a driving force in how business owners conduct their operations. I've handled a few recent requests where the client didn't have an email address. Since addresses can be obtained freely, I'm not sure why neither of them had one. Perhaps it's a reflection of a personal philosophy, or a sign of discomfort with certain technologies. However, perception is key, and surveys like this serve as guides as to what small business owners see as the expected norm in the American economy. It's been said many times before: Without so much as an email address, a business owner puts him- or herself at an immediate commercial disadvantage. * Possessing a household gun increases the chance of suicide by five times. Roughly 29,000 people are killed by firearms every year - 10 times as many as died on September 11, 2001. Of the victims, some 11,000 are murdered, 17,000 use a gun to commit suicide, and almost 1,000 die in accidents. What’s a ning you ask? It is an online platform that allows users to create and participate in their own social networks. Librarians love these sorts of things, and nings have been a recent topic of discussion on our favorite BusLib listserve. Like a listserve, a ning can facilitate communication between individuals with shared interests, and provide a forum for notices and discussion. Unlike a listerve, you have the opportunity to post a picture, and perhaps carry on a more casual discussion than you would want to post to a list of thousands. You can create your own, or participate in an existing ning. And librarians aren’t the only ones with nings. These are all related to business. Read more about Ning here. "I have a patron who is looking for nonprofit organizations' IRS form 990"
Foundation Center.org has a database. I looked for those in NYS in 2005 and discovered that 44991 documents matched, though only 100 documents are displayed, so narrowing by name will be necessary. Grantsmart.org showed 85844 Matches Found for New York, though it may cover more than one year. It claims to have over 620,000 tax returns filed by over 100,000 private foundations and charitable trusts. If you're looking for aggregate tax data about charities, or for that matters, businesses generally, go to the web page of our good friends at the IRS. Hurry up and file those taxes! We've gotten away from that, mostly because it was not a great effort to generate lists that were a bit larger. A poll of the librarians here reveals that it's been pretty common to provide your clients with lists of 50 to 100 companies, mainly because there was no consequence to us. We'd pay once for the American Business Disc CD-ROM at the beginning of the year, and that would be that. ABD was produced by InfoUSA. Last fall, I learned that they wouldn't be making the CD product anymore. Now we're using their web-based database (called Reference USA). We paid a rate for four librarians, and then have unlimited usage for twelve months. The product is up for renewal at the end of the month. InfoUSA changed their policy, and are basing the cost of Reference USA not on the number of people who'll be using it, but rather on the number of downloads we generate. It's a subtle shift on their part, but it has an impact on what we can provide your clients. Sooooo . . . starting on May 1st, we will be actually enforcing the 50-record limit for all business list searches. It's 50 records per client - if you have a client who needs a list of suppliers for multiple product lines for, say, a gift shop, it's not 50 records per product line. If we exceed our yearly allotment, then we wind up paying for it next year. So we have to discipline ourselves, and stick to it. In situations where your client needs a larger list, we will provide your client with a roster of reputable, fee-based business list providers. "A BNET reader recently asked our Where's the Line? writer (aka "Your Conscience") what she should do after unexpectedly finding an office-wide salary list. Her dilemma? She's making less than her peers. In The Danger of Salary Secrets, the Conscience advises her not to abuse the power. Would you be tempted?" Of course, from the employers' point of view, one ought not to be leaving such information in the copier. Another recent article is The Great Workplace Wiki Divide?, where it discusses the effect of a "younger generation of workers who embrace Web-based tools in a way that often confounds older workers." "No matter how much companies rely on technology to get to the job done faster, managers can't forget the human factor. How employees are managed, motivated, and led can make all the difference in the world about how they feel when they walk in the door and when they shut down their PCs at the end of the day. These BNET resources will help you bring out the best in your staff -- whether it's through praising them for a job well done or allowing them to gripe to you (so they aren't complaining to everyone else in the break room)." The BNET blogs make for interesting reading. This is a blog with a specific audience. We don't advertise it outside the program, so consequently we don't get a barrage of emails soliciting reviews of, or links to websites for, specific products and services. That's not the case in much of the blogosphere. Lately, I've been trying to persuade other small business blogs to mention the "What's Your Signage" website, as the right blogger can be a very valuable marketing ally. It's slow-going, and requires patience, and knowing that you're sending the right message to the right blog. I came across this article: "The Must-Know Do's & Don'ts of Marketing to Bloggers". It's written by a woman who has been receiving unsolicited email pitches for years. If any of your more technically-literate clientele discuss the blogosphere as a potential marketing tool, have them keep these tips in mind. Otherwise, they'll just be wasting their time on an audience that likely will view their pitches as little more than spam. WASHINGTON – The U.S. Small Business Administration will honor America’s top entrepreneurs – and name the National Small Business Person of the Year – at national ceremonies in Washington, D.C., during Small Business Week, April 23-24. The two-day celebration will honor the small business accomplishments of individuals and business owners at four major award events. The 2007 Small Business Week will be at the Ronald Reagan Building and International Trade Center, where more than 100 outstanding small business owners from across the nation will be recognized. A highlight will be announcement of the National Small Business Person of the Year and runners- up, selected from among state winners who represent a diverse cross-section of American business, ranging from a sausage maker and wine café, to a bee keeper and a dog salon. • The National Small Business Person of the Year, selected from the 53 State Small Business Persons for the Year. • The Champion Awards, recognizing both individuals and organizations for their achievements on behalf of small business, including minority, women and veteran-owned small businesses. • The Phoenix Awards, recognizing a public official, a business owner and a volunteer whose efforts have enabled their businesses or communities to successfully recover from a disaster. • Export Lenders of the Year, honoring financial institutions for financing small business exporters. • The Dwight D. Eisenhower Award for Excellence, recognizing large prime contractors that have excelled in their utilization of small businesses as suppliers and subcontractors. • The Gold Star Award, recognizing exemplary performance of federal staff who manage the aggressive goals and strategic initiatives that help ensure a role for small business in the federal marketplace. • The Frances Perkins Vanguard Award, honoring government and industry for excellence in the use of women-owned small businesses as prime contractors and subcontractors. • The Small Business Prime Contractor and Small Business Subcontractor of the Year, honoring small businesses that have provided government and industry with outstanding goods and services as prime or sub contractors. Every president for 44 years has issued an annual proclamation celebrating Small Business Week. State award winners and recipients of the Champion and other special awards are nominated by local trade associations, chambers of commerce and business organizations. During Small Business Week, award winners will meet with top administration officials, members of Congress and leaders of national business organizations. This annual celebration honoring the nation’s leading small business entrepreneurs is cosponsored by SCORE, “Counselors to America’s Small Business.” For more information on Small Business Week 2007 events, including award winner bios, visit www.sba.gov/sbw. Media outlets interested in covering Small Business Week award events may pre-register online at https://www.epsilonregistration.com/er/Registration/SBA07Entry.jsp. 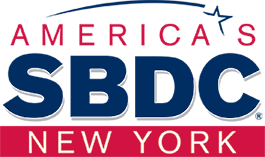 Interviews with SBA spokespersons and award winners can be scheduled prior to Small Business Week. Schedule of Events – Small Business Week 2007 (Please Note: Press seating is limited at all events and the events schedule is subject to change. SCORE, Sam’s Club, BAE Systems, IBM, and Raytheon. The U.S. Small Business Administration’s participation in this cosponsored activity does not constitute an express or implied endorsement of any cosponsor’s, donor’s, grantee’s, contractor’s or participant’s opinions, products, or services. All SBA programs and cosponsored programs are extended to the public on a nondiscriminatory basis. Reasonable arrangements for persons with disabilities will be made, if requested at least 2 weeks in advance, by contacting sbw@sba.gov. Cosponsorship Authorization # 2007. Two things we love around here: trends and new food & beverage products. Put 'em together in a lovely online journal? You get the Stagnito's New Products Online, a daily journal for product developers. Besides access to the print New Products Magazine, the site offers frequently updated news about new products, packaging and wellness trends. There's also a calendar for goings-on in the food and beverage industry and commentary on the state of the market (today's is about the importance of company behavior on consumer choices). Pleasant browsing. Good for searching. I like it. U.S. Census Bureau information from the Statistical Abstract (PDF) can be found here, especially pages 8, 10, 14, and 16. As a librarian, I'm compelled to organize things by category. This includes emails, for which I have 90 categories in Outlook. Sheesh. I don't like having too many emails in the Inbox. Those that reside in this main category are those that require something from me. Last week, I got it down to four. That's some kind of record. Soon after, I read this story from the Online Wall Street Journal. Its subtitle spoke volumes to me: “Forget Spam -- It's Unnecessary Email That Makes Our Inboxes Runneth Over”. Amen to that. The author has his tongue planted firmly in cheek (I love the idea of a "Withdraw" button), but there's truth beneath his satire. Read it - I'm sure you'll recognize others (but hopefully not yourself) in some of the suggestions he puts forth.